From Malmö in southern Sweden it is about 1,200 km to the southern border of Lapland. Given this distance, it is not surprising that Lapland does not attract mass tourism. 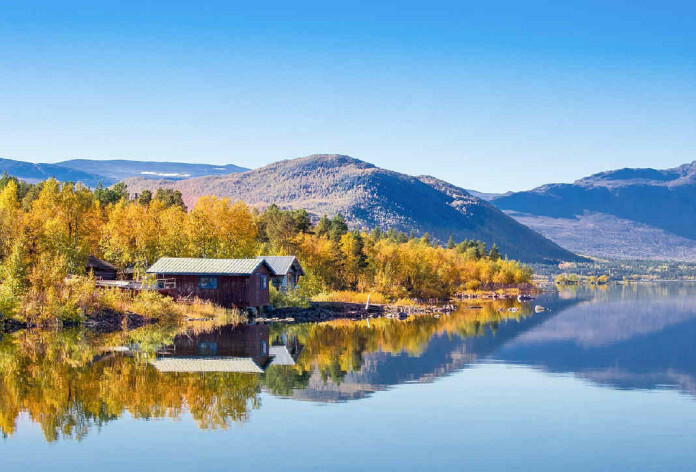 Lapland is rather something for individualists who want to enjoy its impressive scenery, long distance hikes (on skis or on foot) and are interested in the rich and diverse culture, history and art of the Sami, the indigenous people of Lapland. In the north of Lapland – north of the Arctic Circle – the sun does not set during the summer. In Björkliden, for example, one can play golf in the midnight sun, and at Riksgränsen there is downhill skiing until midsummer. 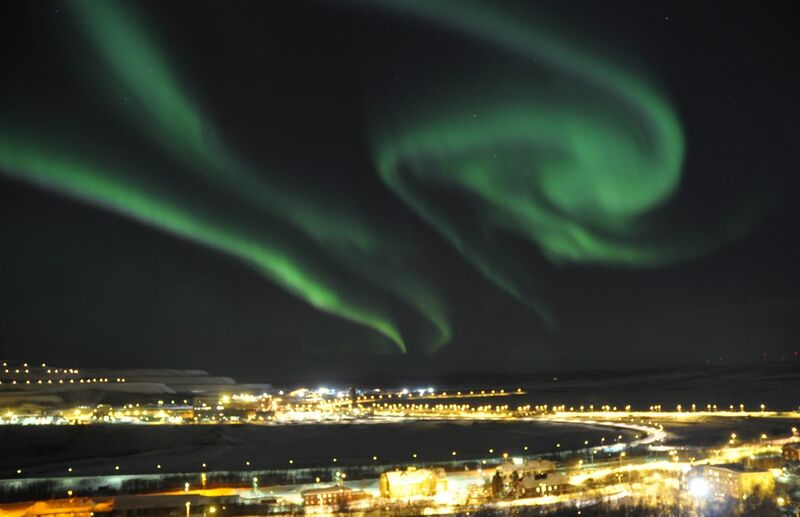 In winter, the spectacular Northern lights attract tourists from all over the world to Lapland. The best place in Sweden to experience Northern lights is the Aurora Sky Station, which is situated on Mount Nuolja, 900 meters above sea level, in an area with very few distracting sources of light or sound: Northern lights filmed in stunning quality. 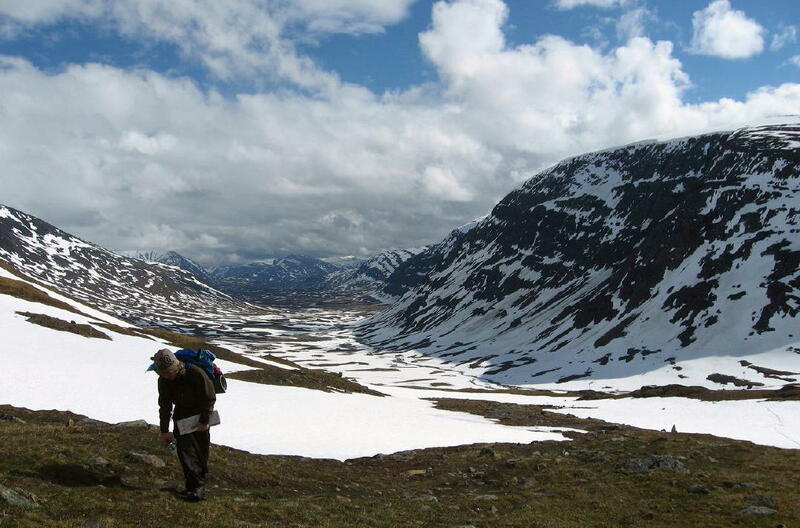 Sarek: This park has high mountains and is dramatic and steep. The Rapa Delta is said to be especially beautiful. There are no trails, so the park is not for the inexperienced hiker. Padjelanta: This park has a flatter and softer environment, but it is difficult to reach because it is secluded behind the Sarek park. Muddus: This park is probably Sweden’s largest primeval forest. Stora Sjöfallet: This park is located on the southern and northern shores of Lake Akkajaure. The lake itself is not part of the park because its waters are used for generating electricity, and roads and power lines have been built for that reason. Laponia also includes the two nature reserves of Sjaunj and Stubba. The long-distance hiking trail, Kungsleden, which is 425 km long runs through part of the Laponia territory. Sweden’s highest mountain, the Kebnekaise is in the Abisko National Park. It is 2,111 metres high, although some sources cite that it is a few metres less. Vindelfjällen is another large vildmark (wilderness) area, lying next to Hemavan and Tärnaby. The southern part of the Kungsleden trail passes through this area. Tärnaby is considered to be the Swedish slalom centre. World famous alpine skiers Ingemar Stenmark, Stig Strand, Anja Pärson and Jens Byggmark all started their careers on the slopes of the village. 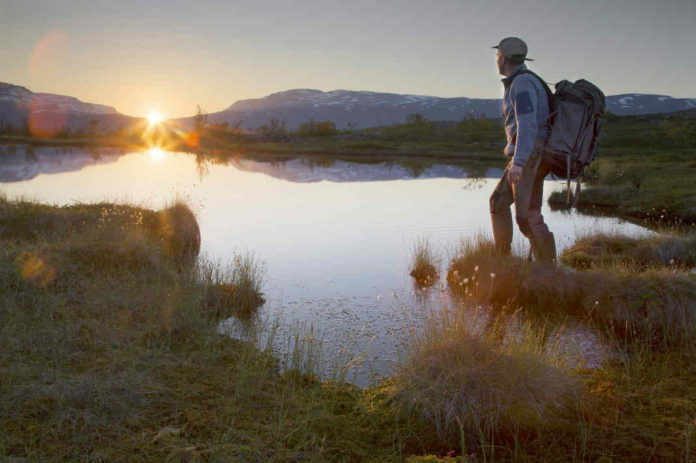 In the summer you can go mountain biking, fishing and hiking here – just like anywhere else in Lapland. Lapland is sparsely populated; very few people live outside the towns and villages such as Kiruna, Gällivare, Jokkmokk, Arvidsjaur, Sorsele, Storuman, Vilhelmina, Dorotea, Lycksele and Arjeplog. In Lapland you can drive long distances without meeting a single person. In some areas you are more likely to meet reindeer, who like to stay on or near the roads. Gas or petrol stations are rare and distances are long. In the 1980s, I once drove from Arvidsjaur to Jokkmokk and back, just because I needed to withdraw cash from a bank account – the trip was 300 km long! On the first Thursday in February people come to Jokkmokk from all over the world to enjoy northern Europe’s greatest winter festival, the Jokkmokk Market. The entire city of Kiruna has to be moved 3 km to the east because the gigantic iron ore mine of the mining company LKAB is creeping towards the town. The mines are popular with tourists in the summer, with a visitor mine at a depth of 540 m in Kiruna. In places such as Porjus, Akkats, Vuollerim and Messaure one can see how valuable water power is for electricity generation. The former state-owned electricity company that operates these power plants is not named “Vattenfall” (waterfall) by accident! Some of these sites can be visited in the summer, and sometimes you can go into the machine halls and rooms of the turbine power plants. There are many different definitions of “Lapland”, all of which can be found on Wikipedia. Most importantly, there is a province of Lapland (in Swedish a “landskap”). However, there is also a much larger region that is jointly marketed as “(Swedish) Lapland”. It comprises the Lapland province and the neighbouring provinces of Norrbotten (with the city of Luleå) and Västerbotten (with the city of Umeå). This larger region is roughly equivalent to Norrbotten County and Västerbotten County (in Swedish a “län”). Thís larger Lapland area is represented by at least four tourism organizations: Swedish Lapland and Västerbotten Lapland (with the cities of Umeå and Skellefteå), Gold of Lapland and Heart of Lapland (with Kalix, Pajala, Överkalix, Övertorneå and HaparandaTornio). In addition, Vilhelmina, Åsele, Strömsund and Dorotea present themselves on www.southlapland.com – although Strömsund, strictly speaking, is not even a part of the Lapland province. The situation is a bit confusing, we admit. Here on Swedentips.se we like to make things simple. We therefore stick to the wider definition of Lapland: “Lapland = Lapland + Västerbotten + Norrbotten”. Lapland has three of the most unusual hotels in Sweden. The Icehotel in Jukkasjärvi is known all over the world. Meanwhile, the Treehotel in Harads has gained a similar status, all the more since it is open all year round. 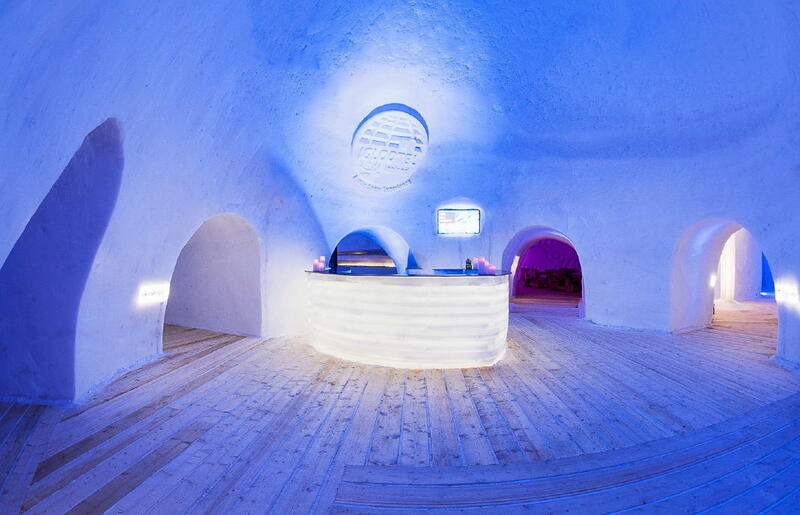 There is also a new snow hotel built of igloos in Arjeplog, which is called “Iglootel”. Arjeplog is visited by numerous car testers during the winter and therefore even has direct flights to and from the European continent (flights go to Arvidsjaur, about 45 minutes from Arjeplog).